We know the importance of having the perfect backdrop to your special occasion. No matter the type of marquee for hire you choose, it’s essential that you have a suitable space for assembly. A great venue can truly transform any special occasion. 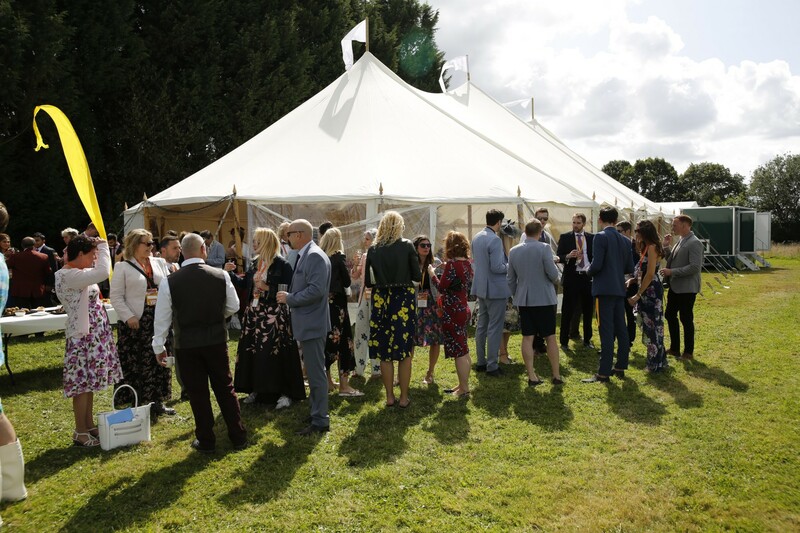 Whether you opt for our Baytex marquee for an elegant wedding, or want to throw a vintage-themed corporate event with our traditional canvas marquees, Carron Marquees is pleased to introduce two exclusive new venues available now for your big occasion. Oak Tree Farm is situated in the idyllic village of Selborne, on the northern boundary of the South Down’s National Park. 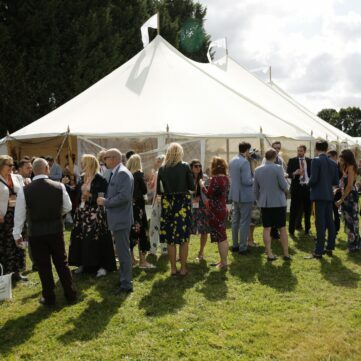 The venue is in a convenient location being close to Winchester, Portsmouth and Guildford and makes a wonderful backdrop for any of our marquees for hire, whatever your occasion. 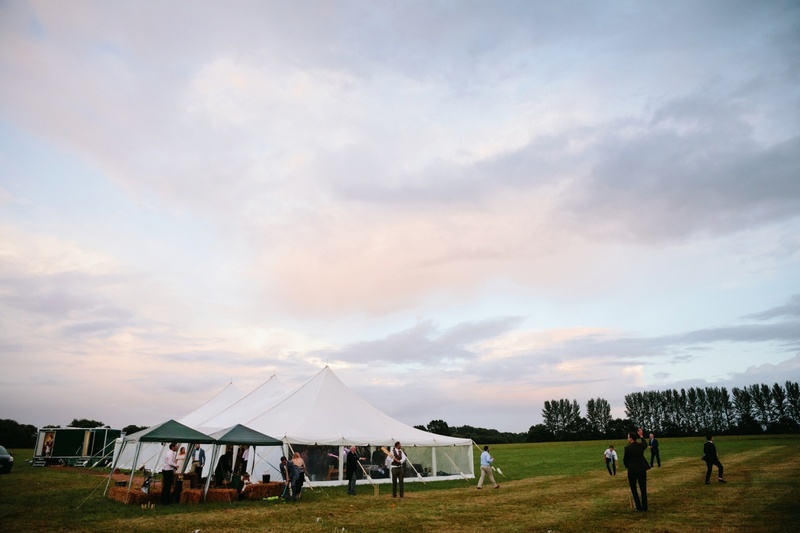 This pretty tree lined field has beautiful views across to the South Downs and is ideal for a festival or casual, country-style wedding. 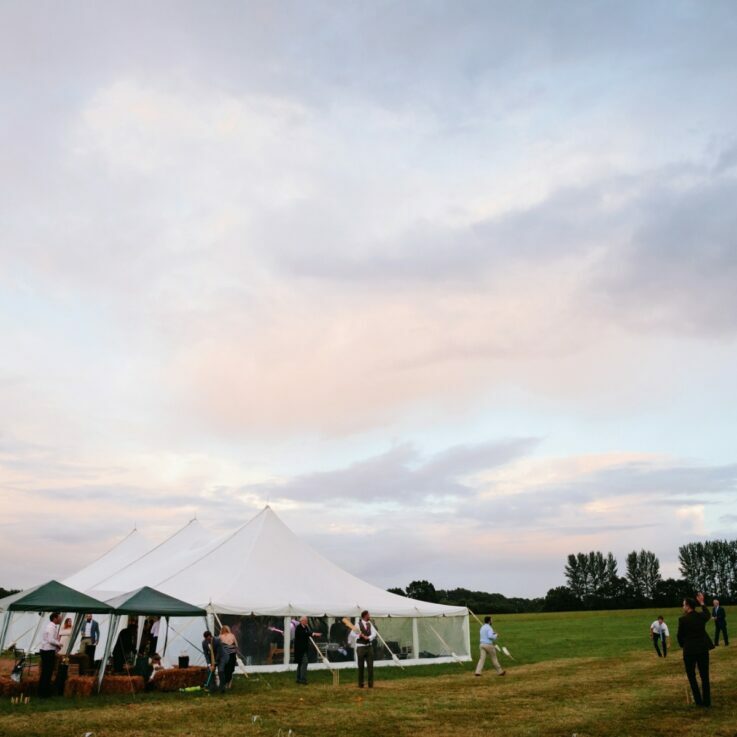 There is plenty of room for your marquee wedding, party or corporate event along with parking for your guests, camping and even a friendly game of cricket! Oak Tree Farm is available for hire all year round and is suitable for small or large events. 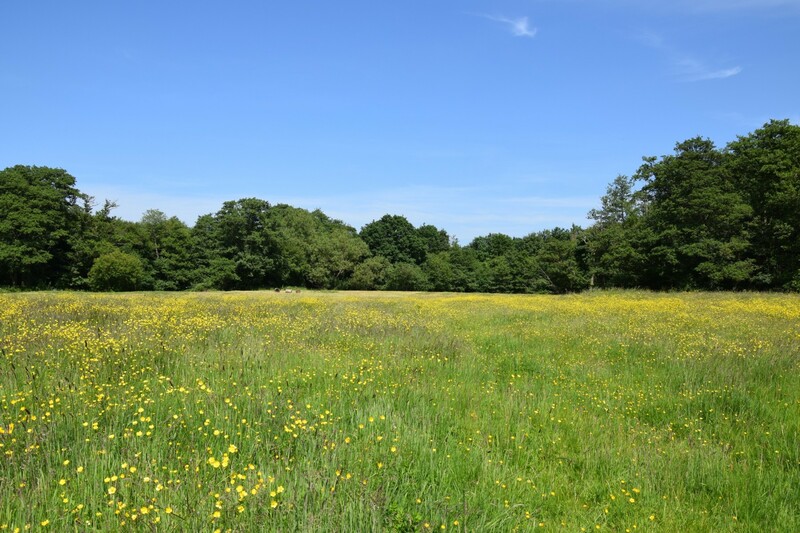 Land hire only is priced at £1680 including VAT. Hire is for a 4-day period to allow time for set up and take down of your chosen wedding or corporate event marquee. 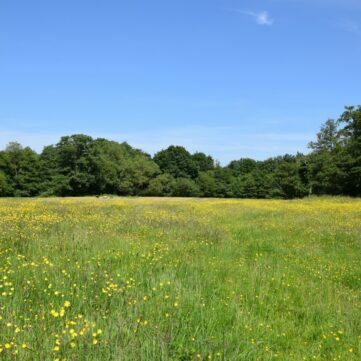 Great Holt is set in an idyllic location, surrounded by trees on all sides. On the beautiful Hampshire-Surrey border, close to Alice Holt Forest and the Shipwright’s Way. 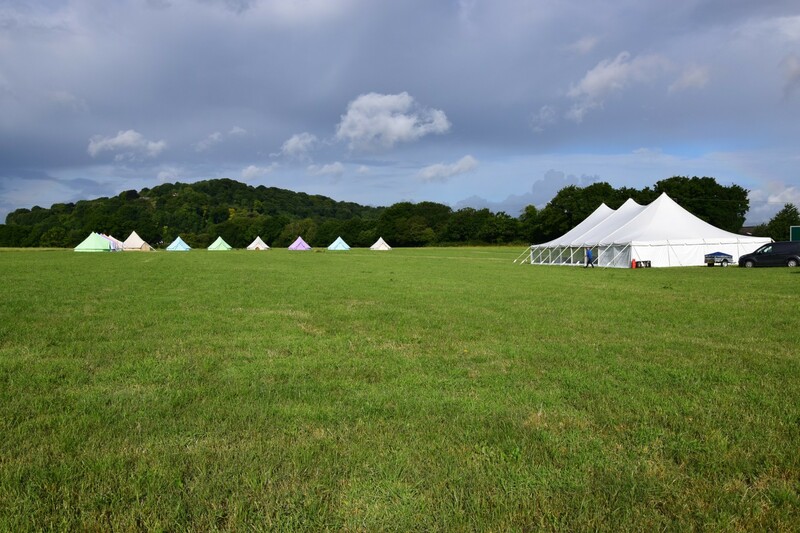 The River Wey winds itself around the edge of the field and the venue can offer separate areas for guest parking, camping and your party tent. Great Holt is available from 1 May to mid-September and is suitable for events up to 160 seated guests. It’s a sublime backdrop for our traditional canvas marquee and the perfect setting for a quintessential vintage summer wedding. Land hire only costs £1680 including VAT. Hire is for a 4-day period to allow time for set up and take down of the marquee. Carron Marquees provides marquee packages for both venues at competitive prices. Unlike some venues, you can choose other suppliers* at no extra cost. It is the responsibility of the hirer to ensure all rubbish is removed from the fields after your event. We require a £250 deposit which will be refunded after your event. For further information on either of these venues or to arrange an on-site meeting please email us. *Marquees, furnishings, toilets and generators to be supplied by Carron Marquees.